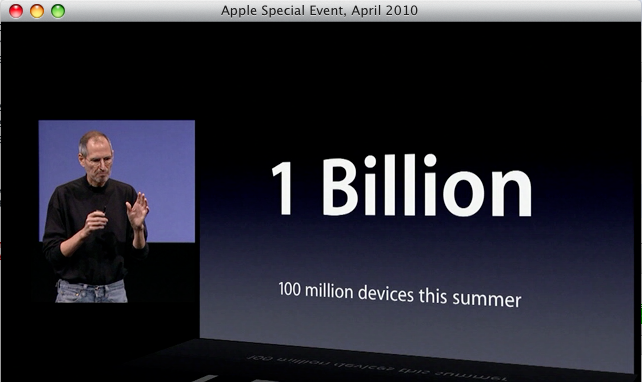 Did anybody else see the line below the “1 Billion” header in the iPhone 4.0 Launch Event? 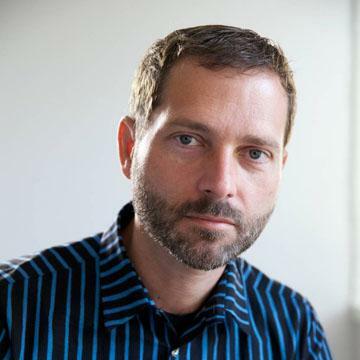 The segment was about the 1 Billion impressions that iAd will be able to target. Interestingly this is one of only two forward looking estimates that Apple has ever made on the iPhone. The 100 million threshold in units is important in several contexts. First, on April 9th, 2007 Apple announced that the 100 millionth iPod had been sold, making the iPod the fastest selling music player in history. The first iPod was sold five and a half years earlier, in November 2001. The iPhone will reach this in 3 years. Second, no other platform comes close. On November 3, 2003, Microsoft announced that it intends to sell 100 million Windows Mobile devices by year 2007. Two years after that goal, in 2009, Microsoft sold 15 million units, down from 16.5 million in 2008. It has not reached half the targeted installed base. Although there could be more than 100 million Symbian devices in use, they are not all running the same software, so they do not offer a targetable installed base.